Biometrics is the science and technology of measuring and analysing biological data. In Attendance Systems, biometrics refers to technologies that measure and analyse human body characteristics, such as fingerprints, eye retinas and irises, facial patterns and hand measurements, for identification or verification purposes with the use of a biometric time clock. 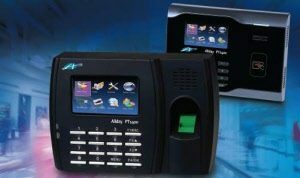 Allday Time Systems currently offer 3 types of Biometric hardware utilising 3 different biometric technology . These are Palm Vein Fingerprint and hand geometry. 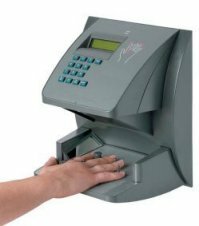 The Palmreader 1000 attendance terminal uses the latest Palm secure technology from Fujitsu. So Reads the internal vein pattern of the palm. So not the palm surface or palm print. 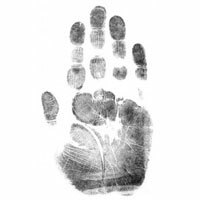 Therefore this type of biometric is considered very secure and is usable by all people who can present a palm to the unit. Reads the internal vein pattern within the palm of your hand – simply show your hand. This technology is the most secure biometric identification – 10 times more accurate than a typical Fingerprint reader. Usable by 100% of people tested. Also does not require regular servicing to maintain quality of read. False acceptance rate is better than 0.00008% and a false rejection rate better than 0.01%. Palm secure cannot be used effectively where it is exposed to direct sunlight. Hence outside use is not recommended. Will not read through excessively dirty palms. However edible oils, moisture or sweat will have no effect. Then main advantage of Fingerprint is that it has become relatively inexpensive to implement. With Fingerprint terminals starting at £209 Fingerprint clock More details..
Fingerprint is not 100% usable with an estimated 3% of the population unable to register a sufficiently good reading in the first place. Fingerprint is not suitable for workers who perform manual labour and wear away the fingerprints during the day. Damaged or dirty / oily fingerprints do not read very well. Users need to place the finger in the same orientation each time for an accurate reading. Limited employee numbers per attendance unit. Physical size of attendance unit. Needs regular servicing from qualified engineer as the internal lenses will become dirty and performance will degrade. The technology is old and its accuracy is low allowing false acceptance or rejection issues. Users need to enter a user PIN before use slowing down use.